VNCtask is designed to remove the complexities of typical Task Management or To Do List tools. With VNCtask being browser based, you can use it virtually from any device – Yes, no more mobile specific App installations. Its highly user centric design makes it very easy to use with powerful features like Recurring Tasks, Powerful Search, Sort, Project Linking. Here is the screen to enter the server URL, enter the URL of the server which you want to access. This server URL you have to enter the only first time you launch the app, on every next time you will directly land to the main screen until you change the server URL from the settings. 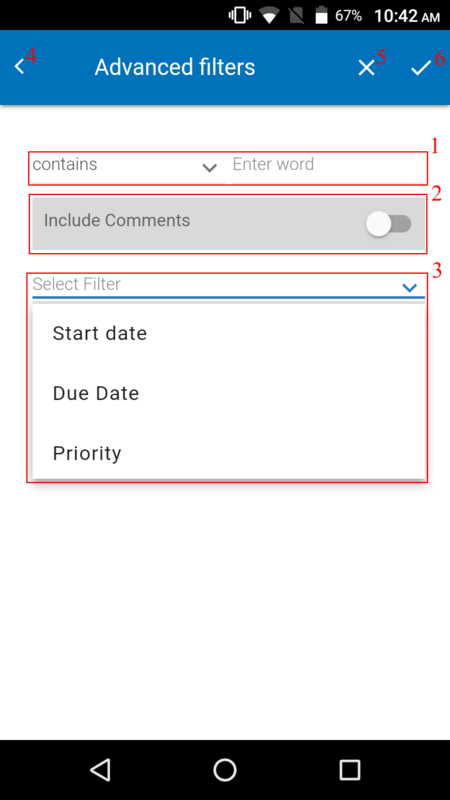 When its time to change the status based on the requirement then just by tapping on the status field you can change it, it will provide a list of the status like New, In Progress, and Completed. Select as per needed. 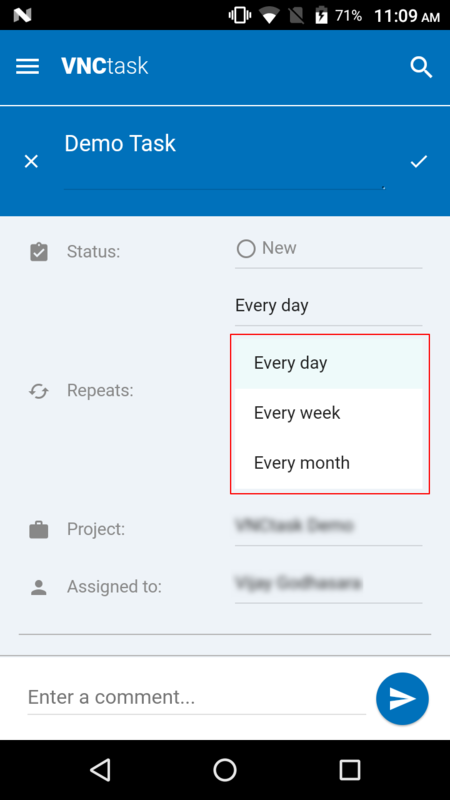 You can also edit the repeat option of the task by tapping on the repeat options field, it will display a list of the options like Every day, Every week, Every month, Every year, and No repeat too. 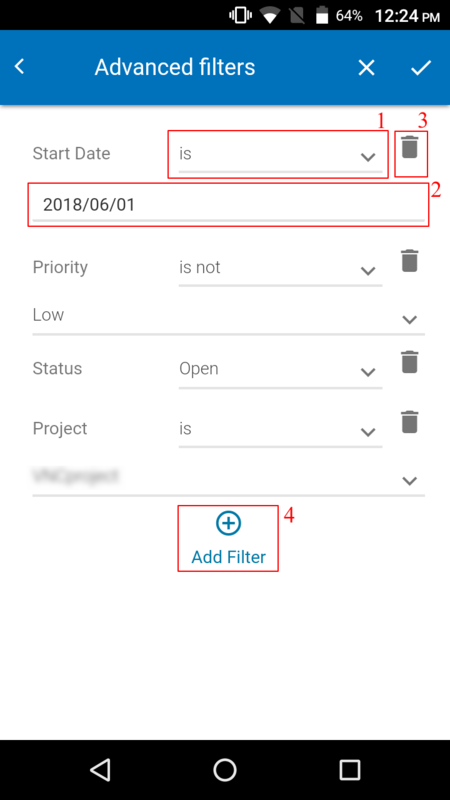 If it is needed to move the task from one project to another project then its so easy just tap on the project field, you will get the list of the project(This list may be based on the authority). Select as per needed. When it is needed to chang the assigned user then just tap on the assigned to field, you will get the list of the users(Based on the project). So change the user as per require. Comment is the needed thing in the tasks. By this feature, you can trace the whole task so to take thins in mind, we have implemented a comment feature. This is the coolest feature of the app where you can directly access many things. Simply tap on the sidebar, choose your option and go ahead! This list displays all the tasks. This list displays only incomplete tasks. This list displays only completed tasks. Here a very useful update option and that is Bulk Tasks update. You can update a number of tasks based specifically on Project, Users, Start Date, Due Date, Priority. 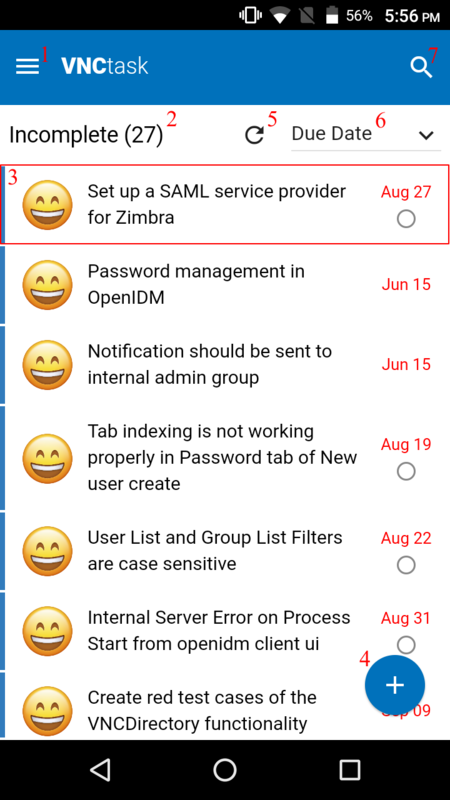 The simplest way to do this, just press and hold the task you want to update, a header menu will appear on the top and avatar of a task will turn into yes tick mark, now just tap on the multiple tasks which you want to update bulky and do all update operations like a butter! Delete: You can delete a specific task or you can delete multiple tasks at a time. It asks for user confirmation before a task can be deleted. By this option, you can change the all selected tasks assigned users. When you see a contact list with individual tasks, then its very hard to find the particular task in it. Here, we have a very popular feature of "Sorting" to see the tasks in the sorting order. 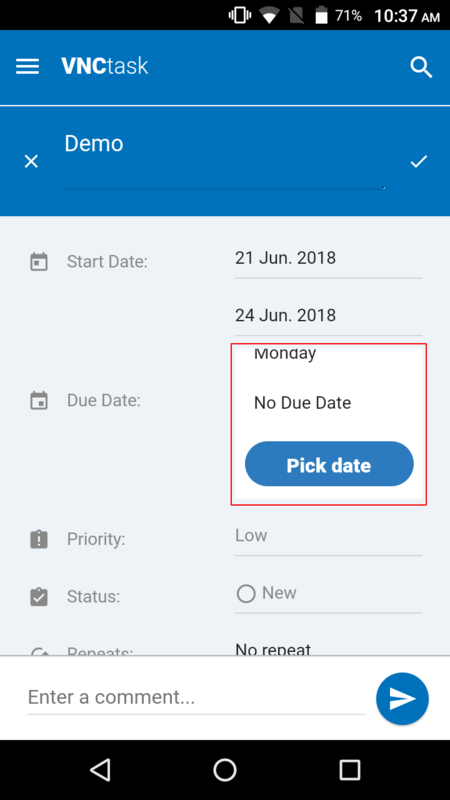 To apply this sorting explicitly, you just have to tap on the sorting drop-down from the main screen and select "Due Date"
Back Button: To go out of the search screen, you can press here and search screen will be closed. Search Typing Area: Here you can enter search content so just type it and press enter from the keyboard and the related search result will be displayed to you. 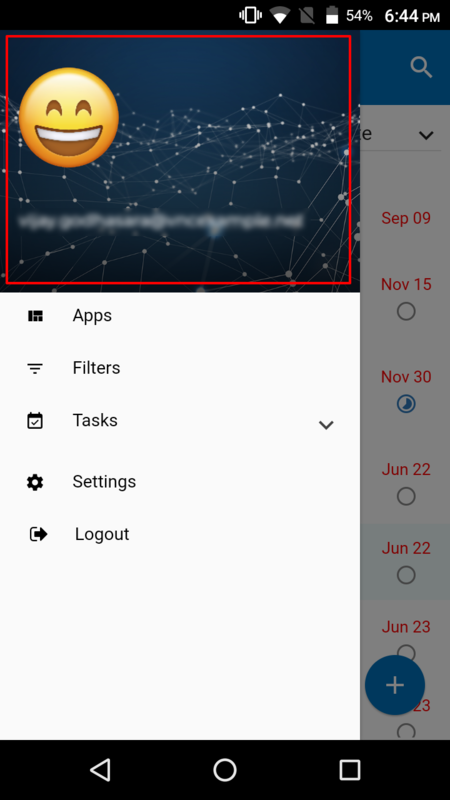 By entering any search content on the text area, it will give the result based on that and if there are no any matches for the search content then it will show a message that "You have no tasks at the moment!" Counters: Here it is displaying the search result counters. The number of cases matched with search content those will list here. VNCtask comes with very powerful filter options. 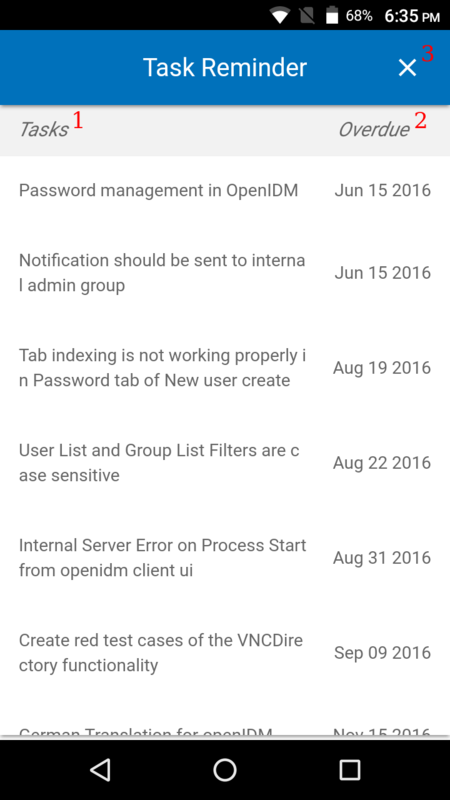 You can search tasks based on different parameters like – Start Date, Due Date, Priority, Status, Project, Users. You can also search on the text contained in the task even comments can be included in the search criteria. As we said that there are many filter options are available and you can easily filter your search based on all that filters. What you have to do is a just select filter, each filter has its sub filter options to select a choice from that and set a value and you are done! Isnt easy no?